As part of an effort to maximize recruitment, the NYPD will permit its officers to wear religiously mandated turbans and beards. 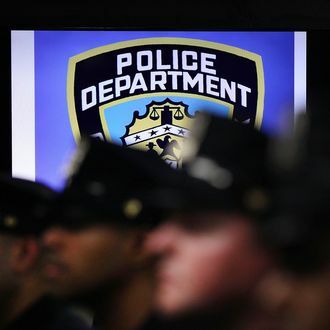 “We’re making this change to make sure that we allow everybody in New York City that wants to apply and have the opportunity to work for the greatest police department in the nation,” said Commissioner James O’Neill in a Wednesday announcement. Until now, the department has prohibited non-uniform headwear and facial hair, though some cops were allowed to sport one-millimeter beards — otherwise known as a five o’clock shadows — for religious or “dermatological” reasons. The restrictions posed a conflict for the force’s observant Muslims, whose faith calls for longer beards, and Sikhs, who are supposed to wear both beards and long hair under a turban. (Per the New York Times, some Sikh cops have managed to follow both their religion and NYPD policy by “stuffing their unshorn hair into turbans that fit under department-issued caps,” which doesn’t sound very comfortable.) But under the new rules, those who are given a religious accommodation by the department’s Equal Employment Opportunity Office will be able let their beards grow up to half an inch. The office can also grant cops permission to swap their police hat for a navy-blue turban emblazoned with an NYPD shield. “We want to make the NYPD as diverse as possible and I think this is going to go a long way to help us with that,” said O’Neill. The department currently has around 1,000 Muslim officers and 150 Sikhs.